After a hard fought 90mins the teams were level at 1-1. The heat had not stopped the team making great efforts to break the dead lock. But in the 30 minutes of extra time RGR found the net 3 more times to secure the Nepal Cup for 2017. 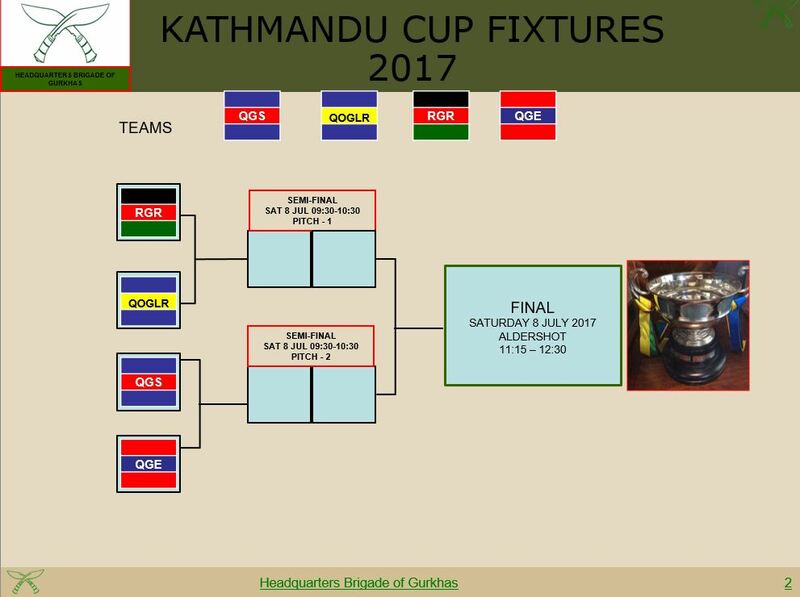 Earlier in May the official draws for the Nepal Cup and Kathmandu Cup football competitions took place. The draws were done at the BFBS studio in Shorncliffe live on Facebook under the watchful eyes of representatives from every unit involved and HQ Staff. Both cups look to be a fascinating fixture list and we will keep you updated on the website and live on Facebook for each game. 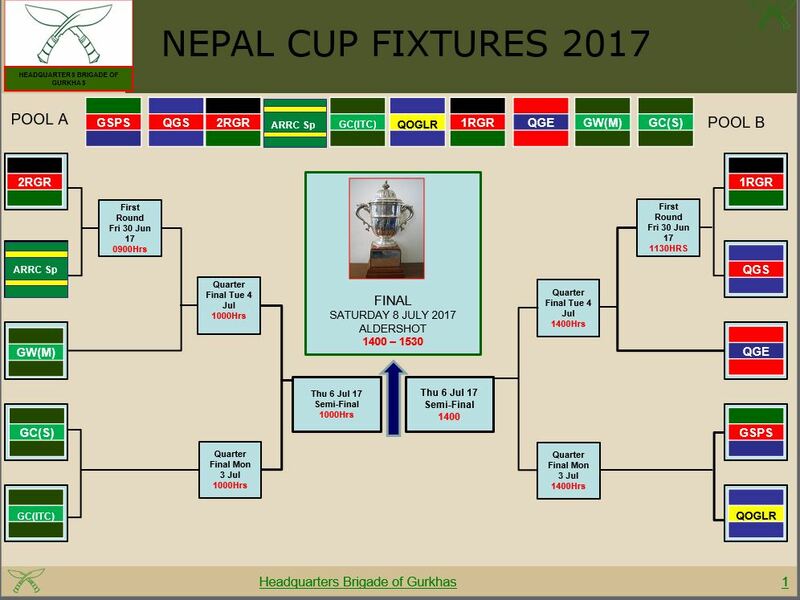 The teams are all formed from Gurkha Veterans and come together on the Bhela to play a single round knock out followed by the Final. 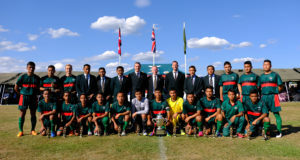 This year the final was won by the veterans of the Royal Gurkha Rifles 2-1 against the Queen’s Gurkha Signals.